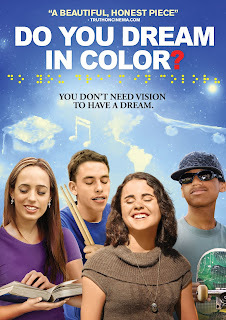 The enlightening and poignant coming of age story that captures the inspired journeys of four courageous blind children, will be released on VOD Feb. 10, with select theater engagements in the first part of 2017, from Uncork’d Entertainment. Do You Dream in Color? is an enlightening and poignant coming of age story that captures the inspired journeys of four courageous teenagers as they strive to achieve their goals: to be a sponsored skateboarder, to travel the world, to become a rock star and to be the first family member to graduate high school. It releases on VOD February 10 and in select theaters first quarter 2017.